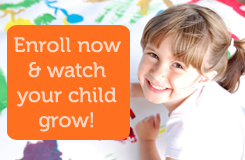 Are you looking for an early education program for you child? Registration will begin soon for next year! Registration opens to the community on January 29, so contact us now to arrange a visit.